Tablets are a curious breed of electronics. For many, they occupy that awkward space between want and need. Most peoples’ work, play and connectivity needs are already being met by some combination of computer, TV/console, and smartphone, but still they covet the iPads and Nexuses of the world. For this crowd, tablets are a supplementary accessory. Then there are those that don’t just want a tablet, they need one. Their work requires a lot of travel, and there’s no device they’d rather have than the iPad when they’re in the ninth hotel in as many weeks. Or the Surface Pro 3, which offers PC-grade hardware in a compact form factor. And then there’s everyone else in between. Luckily, there’s no shortage of tablets to choose from, each catering to a different type of consumer. We’ve distilled the vast quantities of tablets available today and skimmed the cream off the top. 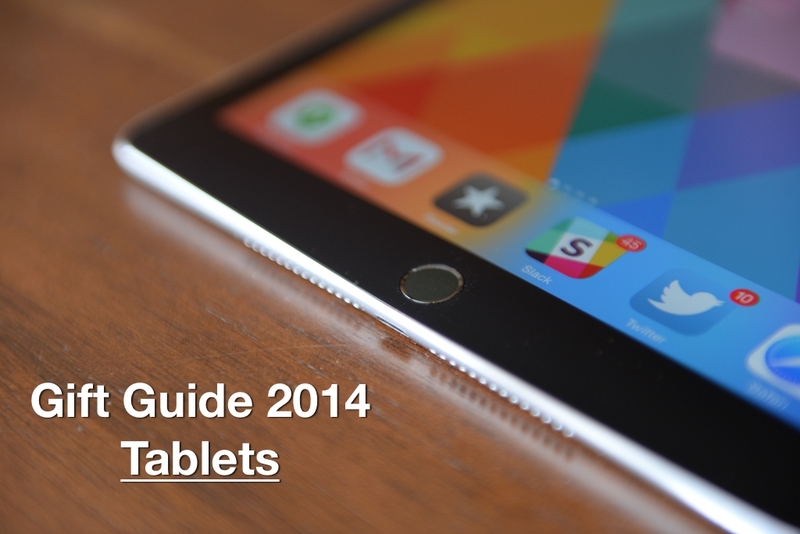 Here are our top picks for tablets for 2014! 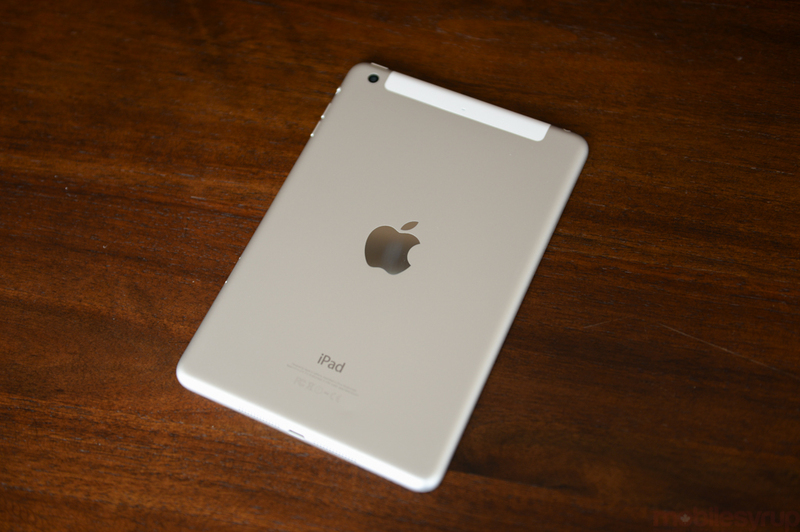 The iPad Air 2 is Apple’s thinnest tablet ever. Measuring in at just 6.1mm thick, it’s actually slimmer than the iPad Mini, the iPhone 6, and the iPhone 6 Plus. It’s also incredibly fast, with a 3-core 64-bit CPU and best-in-class graphics, and boasts improvements to the camera and display. It also heralds the arrival of Touch ID to Apple’s tablet line, which makes it ideal for making purchases or quickly and securely logging in. iOS still has the best selection of tablet apps, and the ecosystem of accessories enables it to become a laptop when necessary. The iPad Air 2 may not appear to be a significant leap over its predecessor, but the combination of thinness, lightness and power makes it a perfect post-PC device. The iPad mini 2 might be a year old but it’s just as relevant today as it was at launch, and that’s all Apple’s fault. The company announced the iPad Mini 3 this past fall but it’s practically identical — save for the addition of Touch ID and a new gold colour option — to its predecessor. If you’re in the market for an iPad mini, save yourself the hundred bucks and buy last year’s version. 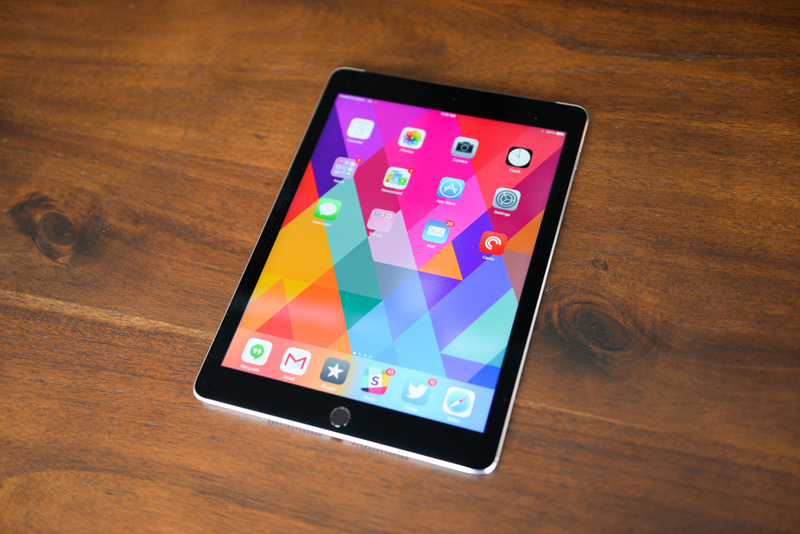 It’s still the best small iPad, and that’s a big compliment. 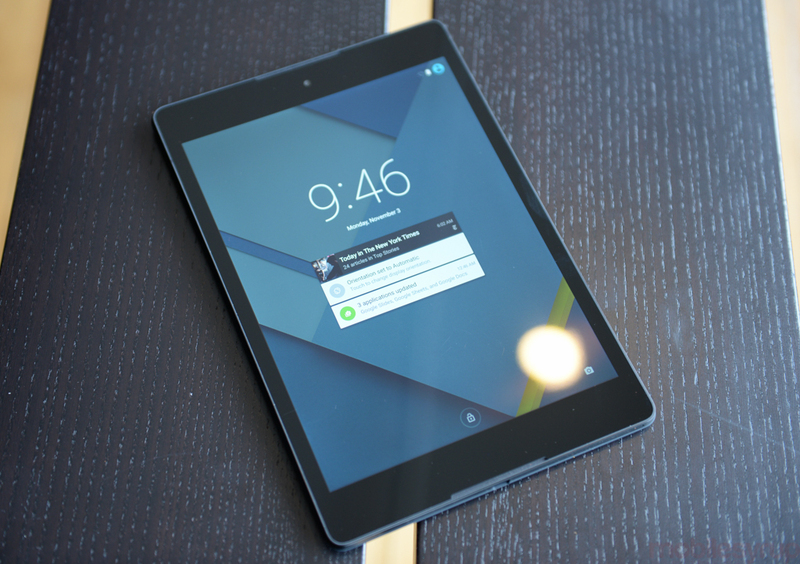 The Nexus 9 is Google’s first tablet manufactured by HTC. 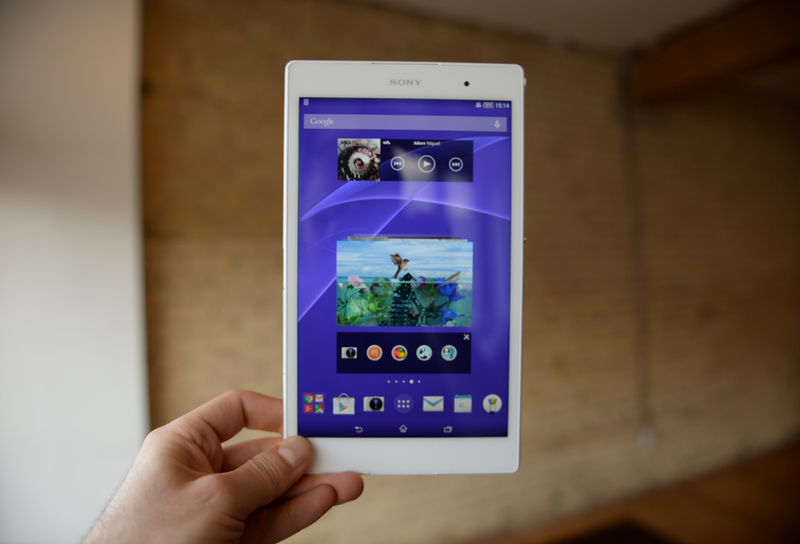 It’s also the first tablet HTC has made in a long time. Despite this, nothing about the Nexus 9 screams ‘first try.’ Great build quality, user-friendly software with Android 5.0 Lollipop, and Nvidia’s 64-bit Tegra K1 chip come together to deliver what we consider one of the best Android tablets available today. What’s more, thanks to its November 3rd debut, the Nexus 9 has still got that ‘just released’ sparkle that’s irresistible to die-hard gadget fans. Though Samsung produces a lot of tablets, the Tab S 8.4 is relatively new (released this past summer) and one of our favourites. The screen is beautiful, making media consumption a dream, and features like SideSync 3.0 mirrors phone calls and texts from your Samsung smartphone to the tablet’s screen. It’s also got Samsung’s retinue of free software and trial subscriptions. 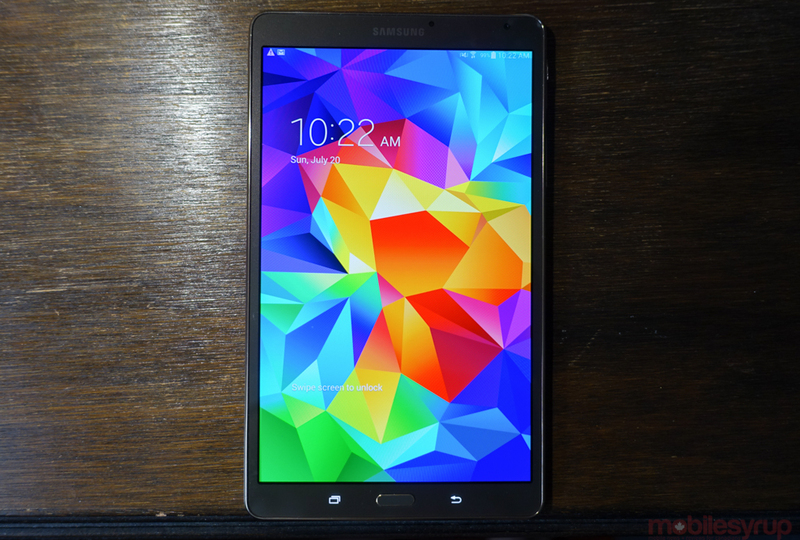 If you’re looking for an 8-inch Android tablet, the Galaxy Tab S is a solid choice. For most people, tablets just aren’t a necessary purchase; we can’t justify spending $500 on a device that can’t really do anything we don’t already do comfortably somewhere else. That’s where devices like the MeMo Pad 7 fit in. Priced at under $200, the MeMo Pad 7 is affordable and packs a 64-bit Atom chip as well as Android 4.4.2. It won’t break the bank, but it’ll scratch that tablet itch. 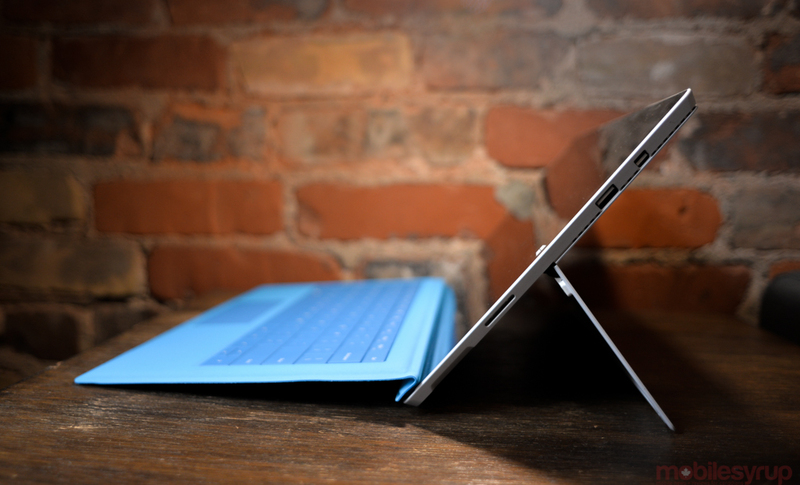 The Surface Pro 3 is billed as a tablet and laptop replacement. You’ll have to buy the keyboard cover separately if you want to use it to take the place of your current computer, but it does offer one thing you’ll be hard pressed to find from any other tablet: a full version of Windows and PC-grade performance in an ultra-slim slate form factor. Microsoft has taken special care with the display, stylus, and trackpad to ensure the Surface Pro 3 is as responsive as possible. The guts of a computer (Intel’s Core i-series of processors, up to 256GB of storage, a 12-inch Full HD display, and up to 8GB of RAM) with the portability of a tablet. Perfect for people who find themselves working in a new place every day. 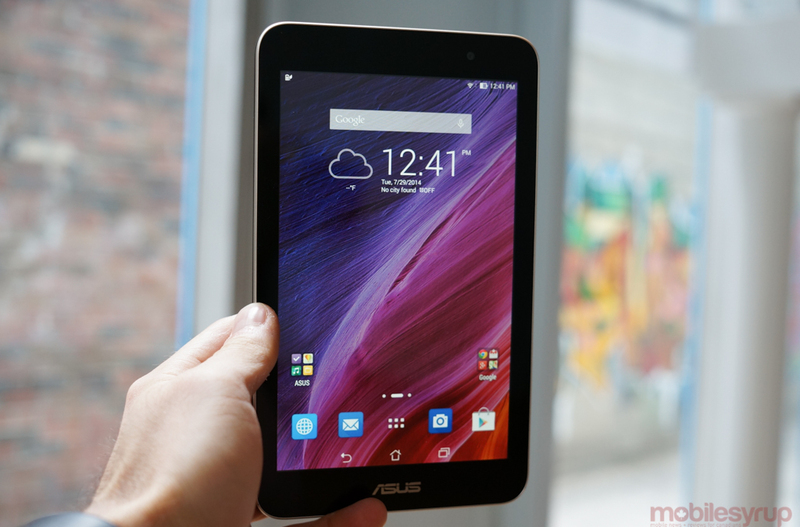 The best Android small tablet currently available, it’s also unreasonably expensive. With a beautiful, high-resolution display, superb performance, a soft touch back and waterproof chassis that screams premium (though it isn’t made of metal), the Compact’s biggest drawback is its $529 entry price. That does give you a 1920×1200 pixel IPS display and 32GB of storage, as well as Android 4.4.4 KitKat, but consider the Compact the best choice only when money is no option.